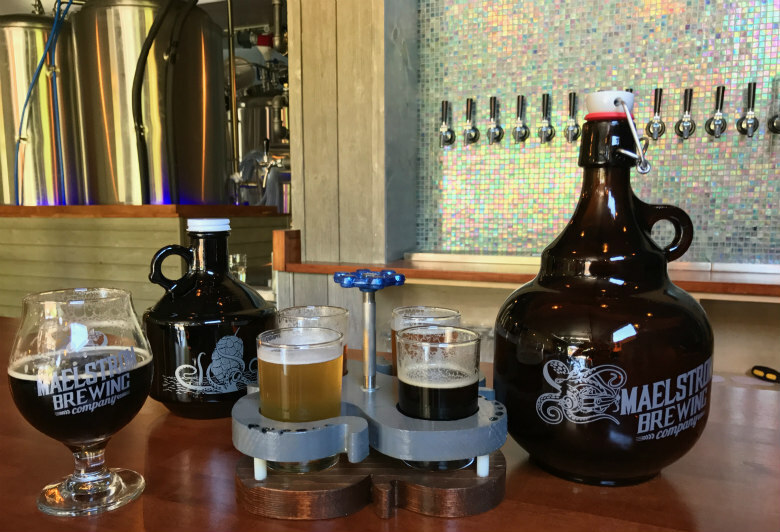 Maelstrom Brewing Company makes its Eastside debut Thursday. By nature, brewing beer isn’t the greenest endeavor. The energy and water it takes to brew a 50-barrel batch is enough to make Al Gore pull his hair out. A flat roof with direct sunlight isn’t usually the first thing aspiring brewery owners look for in a building. But the solar-panel potential was a definite perk for Scott Vanderheiden when he found the home of his new Maelstrom Brewing Company. “There’s a part of me that’s guilty that I’m using a lot of water and a lot of electricity, because this is big equipment,” the Prius-driving brewer says. That brewer’s guilt (and a decent deal through the city) led him to install a 9-kilowatt solar panel system on the roof of his brewery, which opens Thursday. While Maelstrom won’t be entirely sun-powered, it’s enough to offset a portion of Maelstrom’s energy use and knock a chunk off his electricity bill. For Kirkland beer fans, Maelstrom becomes just the third brewery within city limits, joining Flycaster (which is reportedly for sale) and pilsner aces Chainline. Back when Vanderheiden started casing out locations near his Kirkland home, the Eastside burb was a local beer dessert, he recalls. Vanderheiden and his wife/co-founder Katherine hope to keep Maelstrom a neighborhood taproom, with limited distribution in the area. Maelstrom’s 1,750-square-foot brewery has seats for 32 in the taproom, plus another 20 on the patio outside a roll-up garage door. They’ll debut with just a handful of beers—a porter, pale ale, IPA, Belgian wit and a kolsch, one of Vanderheiden’s personal faves. With 18 taps (including a cask handle and a couple nitros), Vanderheiden plans to flesh out his lineup over time, doing the usual one-offs and experimental beers small breweries can. As Vanderheiden, who still works as a full-time radiologist, readied for Maelstrom’s opening, the homebrewer of 20 years has largely been brewing to style. He enjoys the challenge of trying to replicate beers with a sense of place, while making them his own. Vanderheiden draws some inspiration from his travels through Western Europe, including his last trip to Cologne where he hit four kolsch houses over two days. “Brewing is magical where you can take some malt, yeast, water and a little bit of hops and in a few weeks you get this beer that reminds you of that time you were in this place, having this great time,” he waxes. Plus: don't miss our Restaurant Week recommendations!